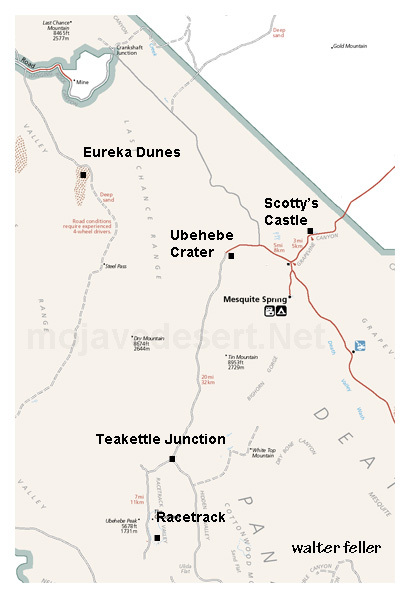 The remote Racetrack playa is home to the mysterious moving rocks of Death Valley. 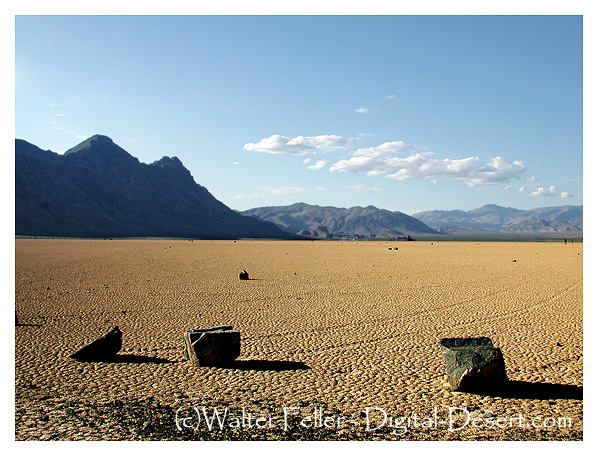 The rocks on the dry lake slide in different directions across the dry lake for no apparent reason. Although no one has actually seen the rocks move, it is theorized the movement is due to a combination of rain and high winds creating proper conditions.